Bartending can be a great way to earn some cash to help put yourself through school, satisfy your shopping habits, compliment your main income, or even make a living. How, you may ask? Tips. Average tipping in North America seems to be getting higher and higher these days, regardless of how the public views it. The common 10-20% tip ensures that service staff make more than a fair amount for a days work despite having low hourly wages. It’s no secret that tips are great, but there are some facts many of you may not be aware of. 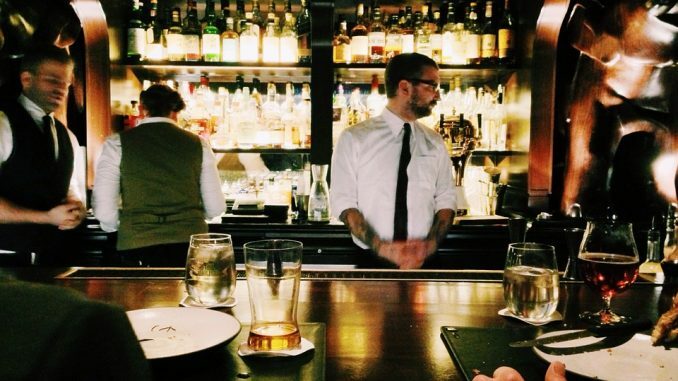 Below, we’ve outlined a couple of things that bartenders need to know about their tips. Huh? Tips are tips, aren’t they? Tips can be categorized into two types as defined by the CRA: controlled and direct. Controlled tips are instigated, paid out, or controlled by the employer. Controlled tips are subject to both CPP contributions and EI premiums being deducted, provided that the individual is employed in a pensionable and/or insurable position. Direct tips are paid directly to the employee and are not controlled or altered by the employer. When paying a bill with debit or credit card, a customer leaves a tip through the machine, which is then given in cash form from the employer directly to the employee. Direct tips are not subject to CPP or EI deductions. One thing that most bartenders and servers don’t know, or often chose to ignore, about the tips that they earn is that you need to claim them on your taxes. If you are receiving controlled tips, there is a good chance that your employer is already reporting them on your T4 slip, but if you are receiving direct tips, it will be solely up to you to ensure your tips are reported to the CRA. Tips, along with any other unreported income, can be declared on line 104 of your tax return. The number declared is expected, by the CRA, to be a real and accurate number of your tips earned, rather than an estimate based on a percentage of your salary/earned wages. Tips are a great way to compliment your hourly wages at your serving or bartending job. In fact, individuals in these types of employment often earn more through tipping than through their hourly wages, which are commonly set at minimum wage. If you earn tips at your place of work, it is important that you understand what type of tips you are receiving and the responsibilities that come along with them.